Fall is here and now before everyone begins to take in all the beautiful aspects of this season the Law Firm of Mandel and Altholz would like to notify drivers of all the new hazards that come with the fall season. 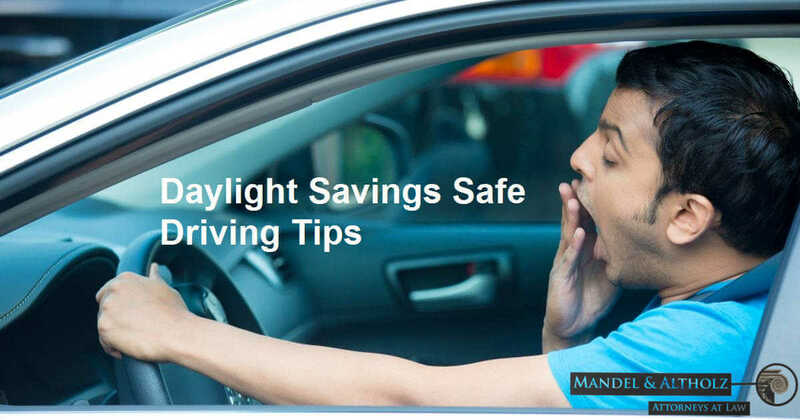 Daylight savings time is over and it will become darker earlier every day, drivers must make sure their headlights are turned on before driving; a car with its lights off is both dangerous for the driver and pedestrians who can run out into the street. Stay aware and stay safe. This season leaves will begin to fall; this beautiful sight adds new hazards. A pile of leaves itself is harmless but in the rain or wet can make it difficult to stop for any car. Drivers should make all attempts to avoid piles of leaves, you never know what could be under there that could potentially harm you or your vehicle. With Thanksgiving right around the corner we would like to wish you a happy safe time with your families so please don’t drink and drive. You may feel that you haven’t had too much but in just a moment of hesitation this decision can be fatal. A safe suggestion is to stay over where ever you spend the holiday. The most dangerous hazard on the road is in fact other drivers.